Can this Garland product be shipped directly to my home? Due to manufacturer regulations, we are currently unable to ship certain Garland products to residential addresses. A business address must be used for shipping these items. Please contact our Customer Solutions team prior to placing your order if you have any questions! Can I cancel my order for this Garland item if I change my mind? Because this item is built-to-order, the manufacturer will charge a 10% cancellation fee for orders where the item has already been built but not yet shipped. 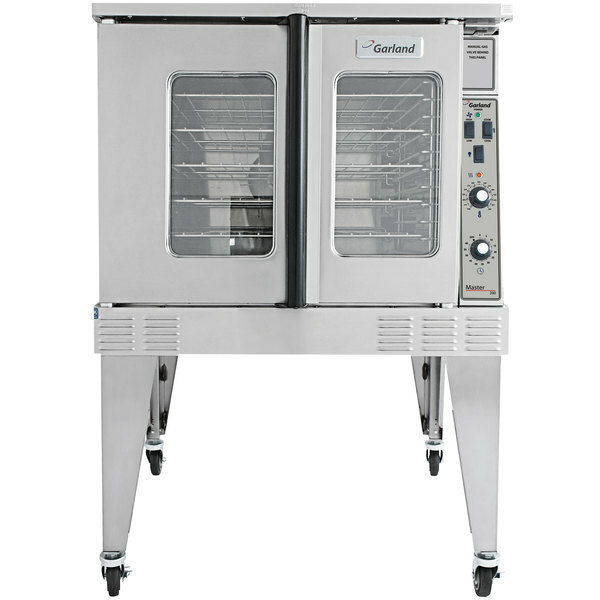 This Garland MCO-ES-10-S standard depth single deck electric convection oven has a porcelain interior with coved corners, and a stainless steel front, sides, top and legs. It features Master 200 solid state analog controls with a 150-500 degree Fahrenheit range, an electromechanical timer, and a 3/4 hp fan motor with dual-speed fan control. The MCO-ES-10-S has a 60/40 dependent door design with double pane, thermal windows and indoor lighting. 6 chrome-plated oven racks and 13-position rack guides are included. It requires a 208V, 3 phase electrical connection. Please note that this item is subject to a 15% Export Infringement Administration fee for all international orders. RESIDENTIAL USERS: Vendor assumes no liability for parts or labor coverage for component failure or other damages resulting from installation in non-commercial or residential applications. Note: This warranty covers products shipped to and installed in the USA only. The right is reserved to deny shipment for residential usage; if this occurs, you will be notified as soon as possible. This oven is perfect for large quantities and the convection feature really helps for even cooking. The viewing windows are also great so you can see your products and not lose any heat!